Does Pippa have a referral or affiliate program? Reward your friends and yourself when you share Pippa. We're so pleased to have an amazing community of podcasters here on Pippa, and you've asked how you can share this service with your friends. It's easy! Simply share your personal Pippa referral code. Simply go to your account on Pippa and click Tell My Friends. 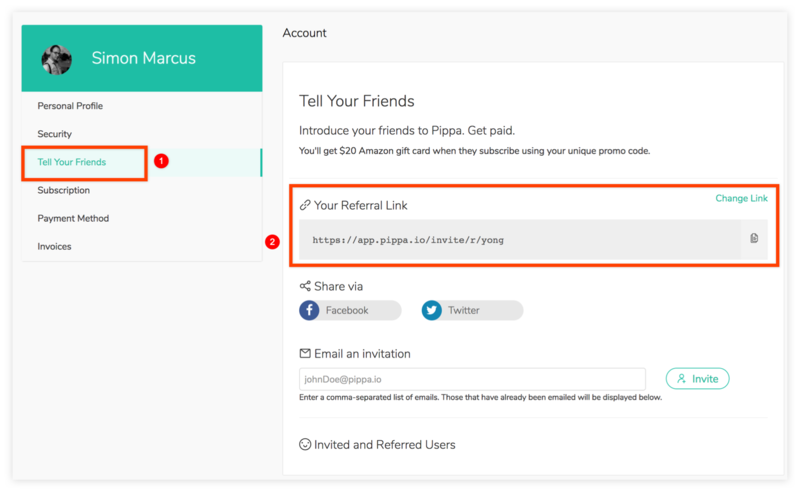 Create a personal referral link—something memorable like your name or the name of your show, because this will be a PROMO CODE when podcasters sign up on Pippa. You can then share that link on email, Facebook, Twitter, or wherever you like.